For as long as there have been sports and competitions there have been athletes pushing themselves beyond known boundaries. Naturally, this is what sports and athletic performance is all about. However, at what point do certain practices become unfair, unethical, illegal, and even dangerous? Almost every athlete is capable of illegally enhancing their performance in some way. For example, athletes that require a short power burst of energy, such as when sprinting, can benefit from steroids which facilitate muscle growth allowing for more explosive power. Bodybuilders can also benefit from steroid use since it aids in the quick healing of muscle tissue after a workout which in turn allows for more frequent and intense workouts. Unfortunately, anabolic steroids will eventually lead to your body producing less of its natural testosterone resulting in many undesirable side-effects. In gymnastics, where athletes need to jump high and twirl quickly, diuretics are the performance enhancing drugs of choice. Diuretics cause dehydration making the athlete lighter, allowing her to jump higher and twirl faster. Even snowboarding has come into the spotlight due to marijuana use. Users claim that it calms them and puts them “in the zone”. On the other end of the spectrum are stimulants, such as caffeine and amphetamines, which can be taken to increase awareness and aggressiveness. Swimmers have been known to make use of such substances. Similarly to anabolic steroids, Human Growth Hormone (HGH) enhances the growth of muscles, decreases recovery time, and it is also believed that it enhances the ‘burning' of fat therefore leading to a more lean body. 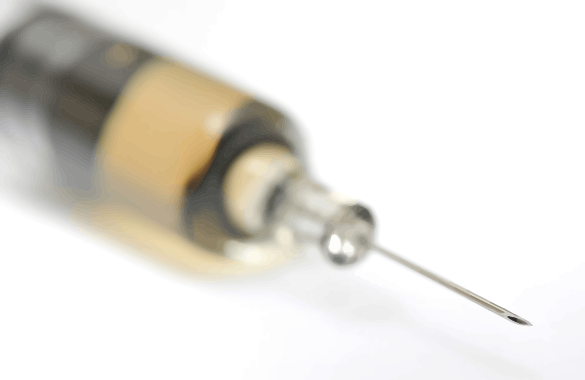 Like steroids, HGH is extremely dangerous, especially in the long term. Some of the side effects include: heart problems, diabetes, hypertension, fluid retention, increased masculine traits in women, changes in men (reduced sperm count, breast development, shrinking of the testicles). If taken at a young age it can also affect the proper functioning of hormone secreting glands, with devastating consequences. In addition, there may be other side effects that have yet to be documented. The use of HGH is illegal in professional sports and can lead to expulsion if an athlete is caught using it. Testing methods involve the usual: blood and urine tests. Although HGH isn't the drug of choice for events like the Tour de France, it is possible that it would benefit riders in sprint like events such as time trials velodrome racing. In sports, such as cycling, where a powerful cardiovascular system is seen as beneficial, the goal is to maximize VO2, how much and how efficiently your body can take in oxygen and metabolize it at the muscular cellular level in order to enhance muscle contraction and reduce fatigue. Even a small improvement can mean the difference between winning and losing in high endurance sports where only a couple of seconds separate first and second place. The red blood cells (RBC) are responsible for carrying oxygen from your lungs to your muscle cells. The more of these that you have the more work your muscles can do. To be more specific, a protein called hemoglobin, located in the red blood cells, is the oxygen carrying agent. The level of red blood cells is referred to as hematocrit. In order to gain an advantage in high intensity and high endurance sports athletes used to blood dope. This is a simple method of removing blood from the body e.g. about 1/4 gallon (1 litre), several weeks or months before a competition. The red blood cells would be separated from the other blood components and stored. Over time, the body will replenish the removed red blood cells. A couple of days before the competition the athlete would inject the stored red blood cells back into his or her body. This would increase the quantity of red blood cells/hemoglobin, which would allow them to take in and use more oxygen and in turn perform better. Alternatively, sometimes the blood would be drawn from a non-athlete and his/her red blood cells would be injected into the athlete just prior to competing. Physically checking for needle marks, which are difficult to find if not impossible. And even then, a needle mark is not really proof of anything. Checking an athlete's blood for elevated levels of hemoglobin. However, at what level would the authorities consider it as blood doping? These were professional highly trained athletes, with naturally high occurring hemoglobin levels. Erythropoietin, also known as EPO, is a hormone that increases the production of red blood cells. It is a naturally occurring hormone that is secreted by the kidneys. Whether naturally produced or injected, it stimulates the bone marrow to produce red blood cells. It was only a couple of years ago that Lance Armstrong admitted to using EPO to enhance his cycling career. The admission was shocking, not because most of us didn't already suspect it, but because he managed to cover it up for so many years. It is also conceivable that if he did not admit to it he may still have gotten away with it. When athletes first started using EPO, as with any new enhancement method, there was no effective and accurate way to detect EPO use. It is thought that EPO had become widely used starting in the 1990s. However, there was no reliable testing method until 2000. In 2000 a test was developed by a French scientists and endorsed by the World Anti-Doping Agency (WADA). This test was able to distinguish EPO from naturally occurring hormones in the urine. The reason it was hard to detect is that EPO has a very short half life, meaning it does not stay in the body for very long. Once called to give a blood or urine sample, an athlete had 10 minutes to report for the test. This was enough time to inject themselves with a saline solution which would immediately dilute the hematocrit level low enough to be within the acceptable levels. The extra saline solution may have even helped in races where dehydration would have been an issue. The other issue with testing is that no matter how good the test is it can only detect EPO for a couple of weeks after its use. However, the benefits of increased hemoglobin can last for several months, as is the normal life cycle of RBCs. Another way to catch cheaters was to catch their physicians red-handed with the hormone, which is what happened in 1998 in the Tour de France. Although methods to catch cheaters are always evolving, so are new methods of cheating. And usually it's the detection that is trying to catch up. For example, There are several other agents, besides EPO, that are considered erythropoiesis stimulating. A significant risk is that the unnatural increase in blood level hemoglobin can cause the blood to thicken, which can lead to blood clots and therefore heart attacks or strokes. Dehydration, from being physically active, will make the blood even thicker. The body's immune system may attack its own red blood cells in an attempt to lower the unnatural hematocrit levels and therefore lead to anaemia. Kidney damage or failure may occur. There are agencies responsible for determining what is legal/illegal and for monitoring athletes to ensure they adhere to the rules. The goal is to keep the playing field as fair as possible. However, this is not an easy task. Besides the constant new development of cheating tactics along with tricks for passing tests, there is also the tricky issue of what should be allowed and not be allowed. For example, caffeine is a diuretic. Does that mean athletes can't drink coffee? Stimulants can be found in over the counter cold remedies. Should these also be banned and how do you monitor it? Finally, medications taken by athletes for legitimate health issues can enhance performance. Again, should these be banned? There some proponents of legalizing sport enhancing drug use. The advantages would include a huge savings in trying to catch athletes; an increase in performance and therefore spectatorship; everyone would be able to be at the same playing field. However, the risk to athletes would increase dramatically with more deaths and with more long term serious health issues. In addition, winning would depend on which athletes are willing to ‘do whatever it takes'. Although it's impossible to catch all athletes that cheat, studies have shown that it deters a great number of them which makes it worth while to try and keep sports as clean as possible.